Day 5 of the circus brings a tightrope of sorts... an impromptu balance beam. A place to find inner quiet, courage... to build confidence and coordination... to be silly and dramatic! 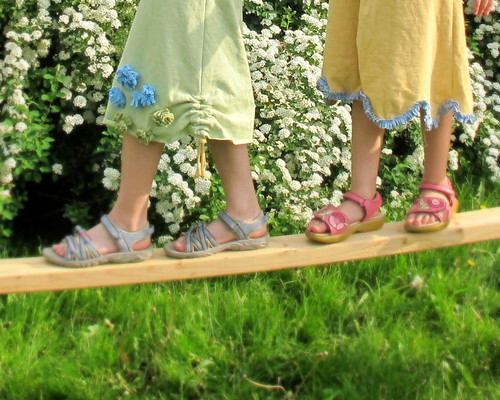 Words to live by: Get up on that tightrope. Don't look down. 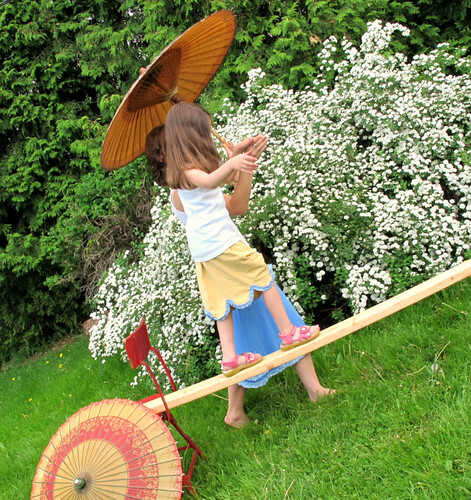 Find your balance. Know when to hold someone's hand... and when to let go. The parasols! They're so beautiful! Where did you get them? 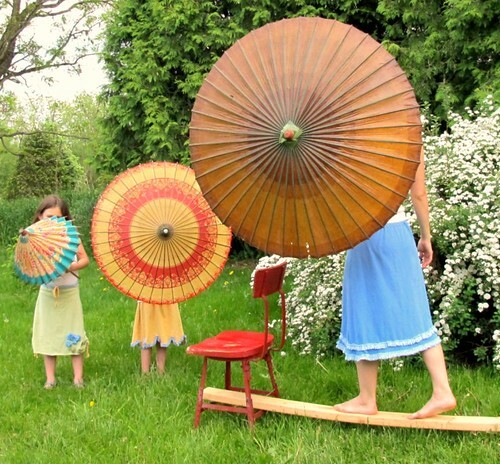 The parasols are part of my mother's collection. I'm working on a full post of resources coming soon. You guys are having so much fun, love the parasols. so wonderful, love it. what happened to annekata's joint circus series? I really LOVED it that you posted on the same theme, from different angles! I have another annekata post coming up later this morning... stay tuned! This is just so much fun! I know my children would love this as well. The skirts are really sweet. 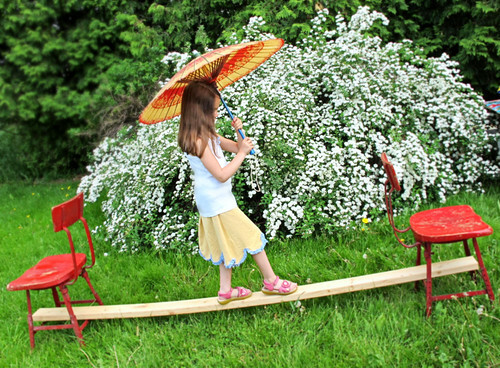 "parasols and pretty skirts are optional" ...Oh no they're not! Those pretty skirts are MANDATORY!